Newer medications, which may be safer than earlier drugs, have expanded the options for treating obesity. Obesity is now considered more than a risk factor for other conditions; it's a disease itself. It has been the subject of intense scientific and medical research to develop effective treatments. But the quest has been elusive. Four medications approved by the FDA since 2012—Qsymia (phentermine and topiramate), Belviq (lorcaserin), Contrave (naltrexone and bupropion ) and Saxenda (liraglutide)—have added to the options for treating obesity, says Dr. Lee Kaplan, who directs the Obesity, Metabolism, and Nutrition Institute at Harvard-affiliated Massachusetts General Hospital. "We now have six FDA-approved drugs, but that is a tiny percentage of the number available to treat hypertension and other chronic diseases, so we need even more options to treat obesity most effectively." Will the newer drugs help you? Like older medications, the new drugs are best used as part of a comprehensive weight-loss program that includes close monitoring by an experienced physician. The approved drugs are usually prescribed for people with a BMI higher than 30, especially if they have other conditions such as type 2 diabetes, high blood pressure, joint problems, or sleep apnea, which can often be alleviated by losing weight. Not everyone responds the same way to any given drug. A few people may lose a great deal of weight on a particular drug, while others may lose little or none. "At present we have no way to predict this response in advance," Dr. Kaplan says. Fortunately, however, if you don't respond to one drug, you may do well with another. It often requires trying multiple medications to find the right one for each person. The weight-loss drugs won't melt off the pounds overnight. When they are successful, they result in an average weight loss of about 5% over a period of six to 12 months. However, even that modest weight loss can improve your health and reduce your risk of heart disease, stroke, and diabetes. 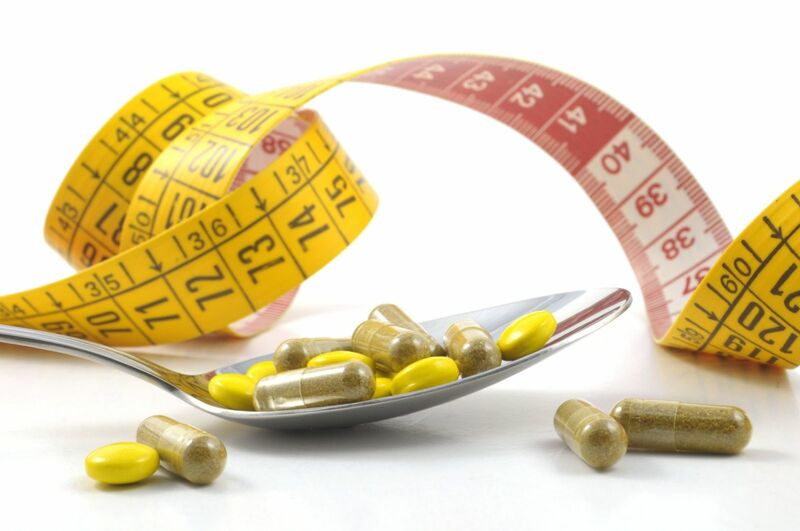 You may remember some disturbing reports about previous weight-loss medications. Dexfenfluramine and fenfluramine were taken off the market after they were linked to heart valve damage. Sibutramine (Meridia) was removed after it was linked to heart attack and stroke in people at highest risk for them. The options on the market today come with their own cautions. The ingredient phentermine—a component of Adipex-P, Ionamin, and Qsymia—isn't usually recommended for people who have high blood pressure or other heart conditions. Topiramate, another component of Qsymia, has been linked to an increased risk of birth defects, so women who take it should take special precautions not to get pregnant. If a drug helps you lose 5% of your weight within a few months without side effects, you will likely want to continue it. But medications are not a substitute for lifestyle changes. They work best when used as part of a broader medical weight-loss program. They should be just one part of a lifelong plan that includes a healthy diet, regular exercise, adequate sleep, and stress reduction. Type 2 diabetes. You might want to try liraglutide (Saxenda), which may lower your blood sugar. Migraines. If you're a migraine sufferer and don't intend to get pregnant, you might consider Qsymia. One of its components, topiramate, is approved for treating migraines and seizures. Depression. Contrave contains bupropion, an antidepressant. It may elevate your mood, which can aid weight loss.